I found myself completely engrossed by Thomas’ life story as a diagnosed sociopath. When you think of sociopaths or psychopaths from the movies, they are people you would want to steer clear of, but Thomas is full of a strange confident charisma; she is an ambitious and successful career woman, so successful she has felt the need to hide her identity in this “warts and all” tale of her life. She is the type of person you want to meet, a woman with an interesting tale to tell, a baffling psychological study in motion. It is her ability to “charm” people that leads her to get her way, whether that be investing in her cunning financial schemes, or even falling into bed with her. If you have ever read Stieg Larsson’s Millennium series, you would imagine that Thomas is a plausible Lisbeth Salander! Both speak their mind, both don’t care what people think, they have their own sense of what is right and what is wrong. I am quite antisocial. People assume that because I can be lively and bubbly I am always the happy life and soul of a party. Often I’m not, I'd much rather be at home with a good book and a cup of tea. In reality I prefer animals over humans...they never let you down. I always find that at some level people will begin to disappoint me. I can be moralistic, and therefore have high expectations of those who surround me. If someone is serious and tells me they want to tell me something in confidence, I respect that. Despite the fact that outwardly I probably seem like a right gossip, I am trustworthy and I still hold many secrets that friends past and present have told me. So on the one hand I'm antisocial, but on the other I do remember my obligations and responsibilities. I will assess what I’ve been told; was it a cry for help, an unburdening, or just a secret that should be kept between the honoured few? I respect the fact that someone has deemed me responsible enough to share their secret with. I get incensed if that confidence is broken by another party, but only if I feel that I’m going to get incorrectly blamed for spreading the news if it ever "got out." I could understand what she was saying to a point. We should be there for our friends; that is why they are our friends, but it is also true that there has to be give and take in a friendship. My friend, who doesn’t drive, accepted a job where I work. It’s about 40 mins drive when there’s no traffic and I agreed that I would pick her up and take her home on the four days I worked. The fifth day she would have to bus, train and walk it. I did this for about a year, but it was only when she needed to take a few weeks leave that I realised just how much the 8 mile detour ate into my day. I could now get up later, set off later, and still arrive in work on time. I could get home, pop to the shop whilst it wasn’t busy, grab a few things and get home for just after 5pm. My stress levels and tiredness improved…and then when the old regime started again I was found myself getting tired and irritable. It didn’t help that I had people digging up my front garden at the time and I had to be home quick smart or I had nowhere to park. This was becoming a tricky situation, a sociopath wouldn’t give a damn, but I did! I didn’t want to cause hurt to my friend…but why should I be putting myself out so much? What did I get in return for the extra stress? After all I reasoned, I'd worked hard as a 17 year old to earn the money to learn to drive, to pass my test, to buy myself a car; to ultimately have a sense of freedom so I didn’t have to rely on anyone. It wasn’t as though we regularly went out either, occasionally I’d book us tickets to the theatre, but other than that, there was never a phone call from her saying “do you fancy meeting up in town for a coffee? ?” Was I a friend, or just a convenience? These thoughts spiralled round and round until I just had to bite the bullet and I texted my friend to forewarn her that I wanted a chat. “Can you give me a call when you get a min? I’ve been thinking long & hard about the morning commute…Just want to discuss options with you.” The reply came back in an instant. She had already decided she was going to text me about making her own way to work in the future. I was livid. I still am if I think about it. That was not the action of a friend. You’d think I’d have responded to her message wouldn’t you? But just like Thompson, I cut off all ties and walked away. It was my version of the “efficient breach.” And yes, I do feel better for it. I feel I have gained, not lost. Had this not happened, my behaviour would only have get worse. I would feel more and more resentful that my life was getting increasingly put upon and I am a terrible liar. I can’t pretend that things are OK when they clearly are not. Confessions of a Sociopath has met with many conflicting reviews on the internet. It seems to be a “Marmite book.” Those who love it are enthralled by the writing of a diagnosed sociopath, to try to understand their take on the world in which they inhabit. Those who hate the book seem to have missed the point…they say they read it wanting to find out how a sociopath feels and what struggles they face, yet upon reading the book they are disappointed to find out about a self-absorbed character who doesn’t think her actions are wrong, who has a huge ego and takes the moral high ground with us “lesser beings.” I find this very interesting though. The fact that this person is so self-absorbed is telling, and what makes the book so interesting; especially for anyone who has an interest in the psychological workings of the mind. I think that is the point of the book – how do people who are not considered “normal” view themselves and the society they live in? By the end of the book I considered that overall I wasn't a sociopath. I might by grumpy, pessimistic, judgmental even, but overall, just a pretty practical and boring person really! 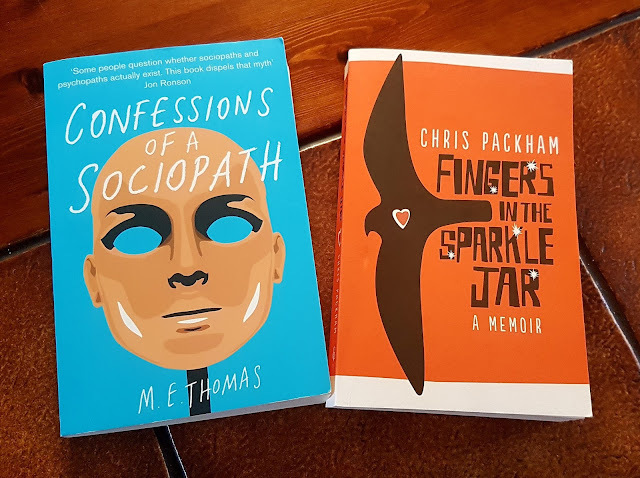 I moved onto another book that looks at the human mind; Fingers in The Sparkle Jar by Chris Packham. This is a beautifully moving memoir of one of my favourite naturalists. As a young teenager, I loved watching The Really Wild Show. I loved Chris too, he was so enthusiastic about the wildlife on the programme and he had a plethora of knowledge at his fingertips…he also sported a punky hairstyle so he fitted right in with the music I was listening to at the time! Chris Packham was cool, so it came as an utter shock reading his memoir about how difficult his childhood was. He was picked on and bullied for being different. He wasn’t considered “normal.” It wasn’t until his 40’s that he was diagnosed with Asperger syndrome. This isn’t an overly sentimental tale; it is the story of a young boy fixated by the details of the world around him, who felt more at home in the protective arms of the countryside than he ever did at school. It is a keen observation of what life was like growing up in the 1970’s, when children found magic all around then and came home with jam jars filled with tadpoles (I’ll never forget my poor father’s face when spawning time came round each year. “I can’t move in the garden for all of your blummin frogs. I must have counted at least 40 of the buggers this morning.” I think I was in my late 20’s when he was really pulling his hair out following the aftermath of my childhood follies…my jam jar of tadpoles had allowed for an ever expanding population of frogs to keep returning year after year to further populate Holly Bank ponds with a crescendo of happy croaking each morn! “I can’t mow the lawn for all these ruddy things hopping about” he moaned! I suppose if he was still around now he would be breathing a sigh of relief that his animal loving daughter hadn’t tried eating any tadpoles like Chris did…well I don’t think I ever went that far! This book became a bit of a time travelling adventure for me, as Chris filled his house with tadpoles…doomed to die in a jam jar on a sunny windowsill; bird’s eggs that you had to spend time carefully blowing the contents out of and then making sure you didn’t crush them with you pudgy childish fingers, or fox skulls which had been boiled clean…I was transported back to my childhood where I’d visit “first pit” with my brothers. They’d come back with Roach for the garden ponds or a big fat Tench to keep the bottom clean (I called him Tommy the Tench...I was such a creative genius!) I couldn’t catch fish (no patience) so I’d bring back frogspawn. 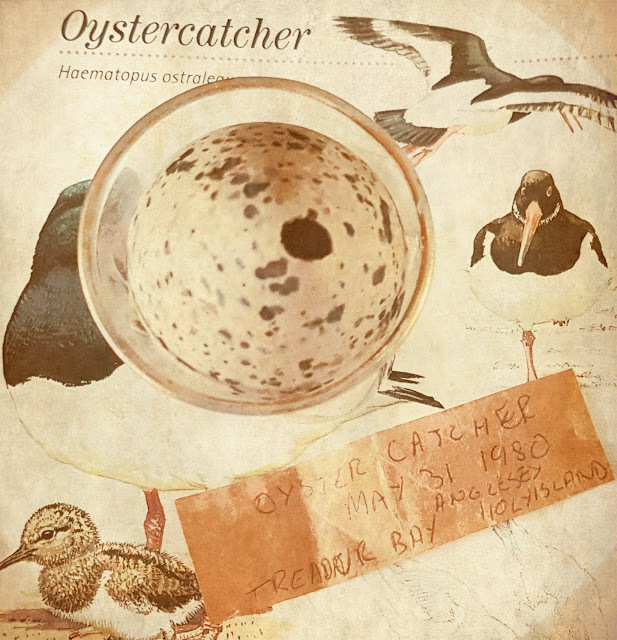 I remember one holiday being taught how to “blow” a hens egg before moving onto something more exotic…I still have the Oyster Catcher egg from that holiday somewhere I think. It sounds shocking now, especially with the decline of wildlife and bird populations, but back in the 70’s it was normal behaviour. As far as the fox skull goes, I never had one of them…although my brother did have sheep skulls which he turned into candle holders. If you were lucky enough to watch Chris’s BBC program “Asperger’s and Me” read this book as a follow on. It is a magical read, and one that shows we should be more tolerant of people. There is no such thing as “normal.” All of us have our idiosyncrasies, and the sooner we all learn to try and understand where people are coming from, and how they can help and influence society rather than simply being dismissed, the better. With that said, I take a look at the bookcase and wonder if the time is right to re-read Ligotti's "The Conspiracy Against the Human Race." No, it's far too depressing to think about... how about 1930's Russia and the stifling regime between Art and Power...now that sounds an altogether more joyful affair doesn't it?! I found myself watching three Chekhov "plays in a day" last year at The National Theatre in London. When I went to speak to some of the actors afterwards, they proclaimed I was mad watching all three productions one after the other. An eight-hour Chekhov-athon it seems is supposed to be rather dark and heavy going, and only a madwoman would subject herself to it! I found David Hare’s epic productions of Platanov, Ivanov and The Seagull whet my appetite for Chekhov. 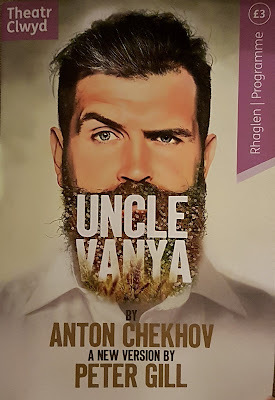 It was an enjoyable day charting the evolution of Chekhov’s writing, so when I found out that another one of his major works, Uncle Vanya, was being performed closer to home I was thrilled! Anton Chekhov was the third of six children. He was born in January 1860 in Taganrog, southern Russia. His father was a grocer, very religious, who tried to instil his religious beliefs into his children with such fervour that Chekhov in later life complained of never having a childhood. As he grew up, his elder brothers became alcoholics and his father became bankrupt. It was left to Chekhov to continue his studies (medicine in Moscow) and look after his family by his short story writing in Moscow periodicals. He wrote about 600 short stories in all, but it is his success as a playwright that we now know him. His first play, Platonov was written but unperformed; Ivanhov which followed gave him some success in both St Petersburg and Moscow, yet his next play The Wood Demon was a complete failure. This play however, laid the foundations to what would become the more successful Uncle Vanya. In 1898, Chekhov allowed a production of The Seagull to be re-performed by the newly founded Moscow Art Theatre. It saw Chekhov become a master of the theatre in Russia. The company went on to perform his other three plays on which his reputation as a great dramatist rests, Three Sisters, The Cherry Orchard, and of course, Uncle Vanya. 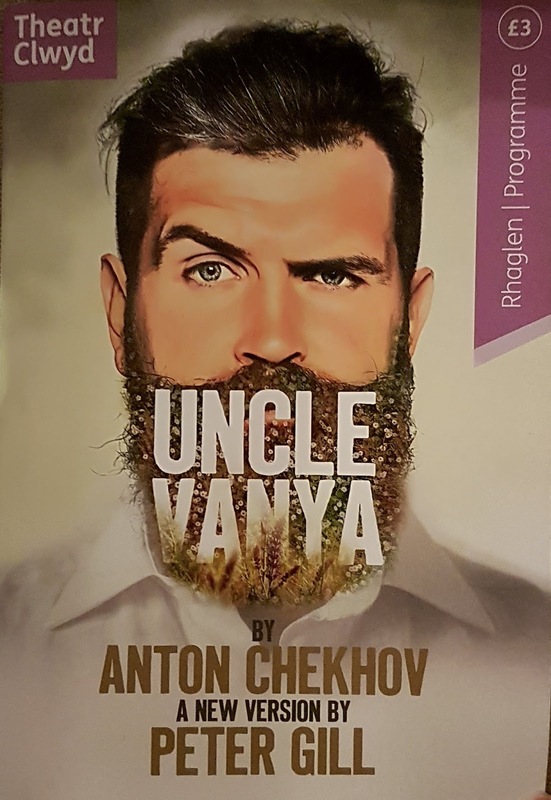 You may therefore imagine that Uncle Vanya is played in a gloriously idyllic setting, where birds are singing, there is quiet contemplation as a stream gurgles past; that sorrows and cares are whisked away by a light breeze across a field, but you’d be wrong. Uncle Vanya is none of these things! Why Chekhov chose this subtext is possibly down to his playfulness with his audience. He wanted his audience to think about what they were seeing. His writing showed that real life isn’t melodramatic; it’s just a series of many inconsistencies. One day things are going ok, the next…you just don’t know. 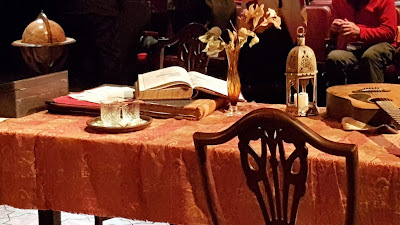 Commonplace activities around a dining table, or conversations over a drink reveal far more about a person than the grandest soliloquy can ever do. It is his subtleties to detail that make his works so captivating. 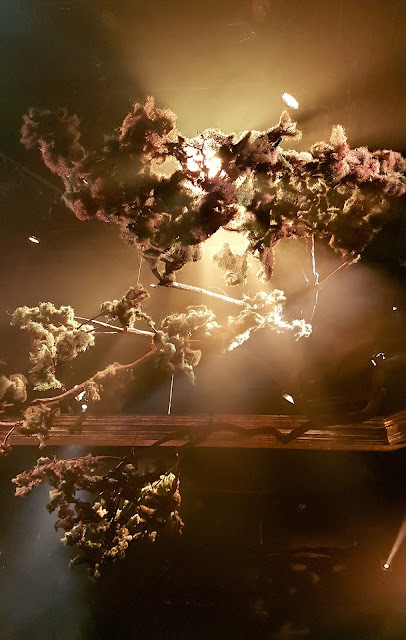 Today theatre goers expect to witness absurdist theatre when watching a Harold Pinter production, but arguably, Chekhov was the father of the absurdist theatre. He grasped the ordinary and turned it into pure drama, but his dramas cannot be described as realistic. He doesn’t write a play that will solve your problems, he just hints at things through a clever use of dialogue. Even the most tragic situation can then have a sense of the “laugh out loud” in the farcicality of the circumstances that someone finds them self in; so never feel ashamed to laugh when that feeling takes over you in a Chekhovian drama! In many of Chekhov’s plays the major characters are looking for salvation, either through love or work. Neither are usually the answer, and in Uncle Vanya the same is true. 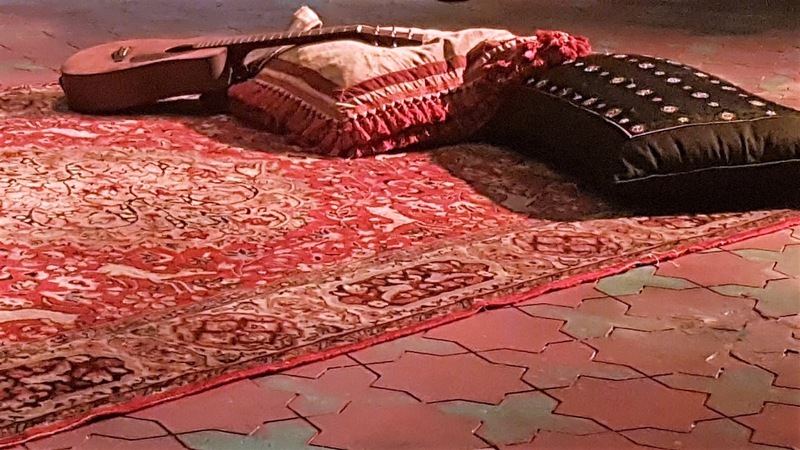 Peter Gill’s 2017 version for Theatr Clwyd takes on board the messages from Chekhov’s original play, and we are transported back to 1890’s Russia. For Peter, this was a play which couldn’t be updated to a modern setting. Vanya and his niece Sonya live in the middle of nowhere…miles from the nearest village, and a trip to the city would almost certainly be unthinkable! They are trapped in one life, yet yearning for another, freer life, untied from the shackles that bind them in the only life they know. The production has been done “in the round” meaning there is less emphasis on scenery and a greater feeling of intimacy with the cast. You feel as though you are sitting in the garden or the parlour with the family, watching through a 360°window into their souls. Jamie Ballard (Ripper Street, The Hollow Crown II) shines in the titular role. He is quick witted with a chirpy character that belies his despair and the injustice he feels he has been subjected to. He provides the majority of the humour throughout the piece. Almost self-deprecating at times, you can’t help but feel empathetic towards Vanya and the situation he finds himself him. In most Chekhov dramas, where there is a gun, there is a death. Here, you know full well that Vanya would be incapable of pulling a murder off! Rosie Sheehy (DCI Banks) is also deserving of a mention. Her portrayal of Sonya as an intelligent, hard working woman who deserves so much more from life is utterly believable. 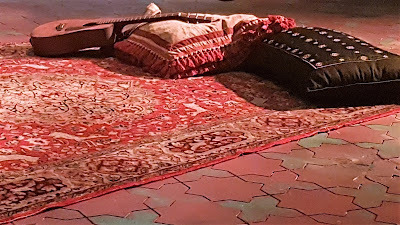 There are times throughout the play where you are desperate for her to find her Disney happy ending, but this is Chekhov, and you know it can’t be. She manages to keep a tight rein on her emotions, her desires for Astrov kept hidden, until with almost childlike enthusiasm, she explodes and allows her secret to be told to her step-mother Elena. The scenes she shares with Oliver Dimsdale (Grantchester, Utopia) show a man who is genuinely fond of her, but has absolutely no realisation of her deeper feelings towards him. This is an accomplished production, it has been well staged, and the costumes are of the period, but there are times when it lacks a punch, particularly in the first half. It is hard to be too critical though, the first two acts are written as dialogue for people sitting/standing around, so it is hard to create something overly dynamic. This comes in the second half of the play when Chekhov’s themes of a wasted life come to fruition. People’s aspirations come crashing down as they realise the futility of their lives, that sudden moment of disappointed reality. Vanya and Sonia’s lives are turned upside down when Serebryakov, a retired professor suffering ill health (Martin Turner, Waking the Dead, Foyles War) arrives at the estate with his young, beautiful wife, Elena. The estate belonged to his dead wife, and her brother Vanya has run the estate for the past twenty years. These complicated relationships lack any real emotional bonds and this is shown particularly when an argument ensues of the legal status of the family estate…who is entitled to it…who can sell it and reap the rewards…and what about those who have sweat blood and tears to keep it going? As an audience we can empathise with Vanya and Sonya, but it is harder to finds attachments to the other major characters. Astrov begins an impassioned speech about deforestation, but this is quickly cut short by the arrival of vodka, and his revelation that he is far better surgeon whilst “under the influence.” Whilst he tries to make us believe that he has such fine feelings, he is easily swayed to other subjects and completely sterile about human relationships, making a play for Elena, but ignoring the obvious passions of Sonya. And what about Elena and Serebryakov? She is blindly loyal to her husband who is nothing short of being an egocentric bully, but even with these faults, the dawning realisation that he has worked so hard as an academic, only for scorn to be poured on his life’s achievements, does elicit a modicum of pity. 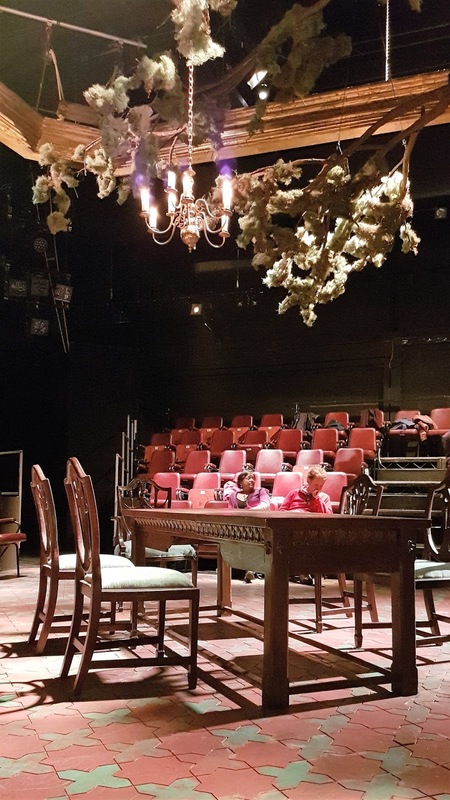 This co-production between Theatr Clwyd and Sheffield Theatres allows the audience to “people watch” at the highest level. These strange characters from 1860 allow us to sit back, with a dawning realisition of how easy it is for life to go off course. We often find ourselves doing things we don’t want to do, for friends or family who don’t really seem to care about us. It begs the question, if we constantly put ourselves out for others, if we always put ourselves second, is it really worth it? After I wrote this, I spoke to my friend and asked should I have put our pub story in? She said yes...so here goes! Anyway, I promised my mate we could have an early tea at the pub the next day before she went home, because the food there is really lovely. So I booked a table (see learnt from the night before!) and we went out to the RSPB in Conwy for the day. It was very blustery! We headed, looking rather bedraggled, to the pub, and as we sat there waiting for our meals a man passed by our table. "Nikki" I said, "wasn't that Jamie...you know Uncle Vanya from last night?" She hadn't seen, and we didn't like to stare so we carried on chatting. A wee bit later, I saw him heading towards the bar again, but this time via our table. I caught his eye and smiled and he came over and said "weren't you two watching the play last night?" "Yes" we chorused, in a somewhat bemused fashion. We had a quick chat and passed on our thanks to Jamie and the rest of the cast and crew, and said to let it be known that we'd thoroughly enjoyed the play. We then sat there, slightly amused. "You know," I said, "I've heard of fans going up to an actor in a pub and asking for a pic or whatever, but I've never heard of an actor approaching someone to say they'd seen them in the audience before!" It was such a lovely thing to happen...but I can't help wonder...how on earth had the pair of us been so memorable? !